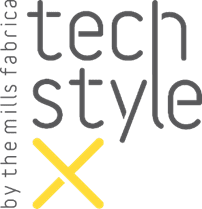 6th April 2019 – The Mills Fabrica, the innovation arm of The Mills Fabrica, will celebrate the grand opening for its first retail store – Techstyle X on 6th April at The Mills. Techstyle X curates globally exciting lifestyle experiences, providing a platform for promising techstyle companies to showcase their products and services. Discovery Zone – companies can rent a display space to launch their products, test the market and share their innovations with the world. Techstyle X members include some Fabrica incubatees: Simple Pieces, Goxip, Origami Labs, TG3D, Unspun and other exciting innovations from Vacanza, UNQ and Facha whose products are available for online purchase, while Techstyle X-branded products will be available to buy in store. Techstyle X bridges the gap between online and offline, whether its ordering custom fitted garments with 3D scanning or utilizing AI-based ecommerce platforms to find your favorite products. The third category is new retail experiences. Goxip, for example, creates the ultimate ecommerce platform for searching, discovering and purchasing fashion and beauty products with text and image recognition. TG3D creates 3D digital avatars of customers to produce tailored techstyle apparel. Their scanning station is a self-scanning service that can provide essential data for a customer in just five seconds, and store it on the customer’s mobile phone with a paired “Cloudzet” app. Once customers have their digital avatar and measurement data, they may then use this in any of their future shopping experiences to make sure they purchase the right size, whether online or offline. For high resolution images please download via this https://bit.ly/2OLD86w .